Thanks to my Hong Kong friends for pointing this out to me. 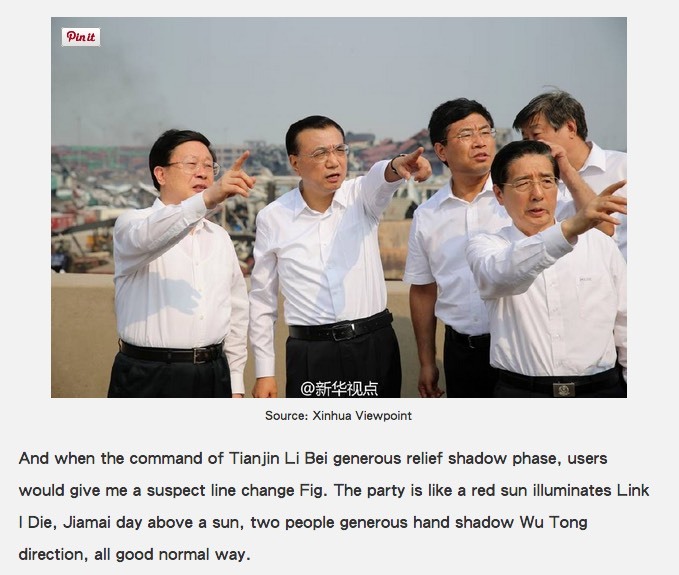 They joke that when the Chinese leadership visited the site of Tianjin’s ‘Big Bang’, they commanded two suns to appear in the sky (check out the arm shadows). However Reuters still seems to be using the image without comment. 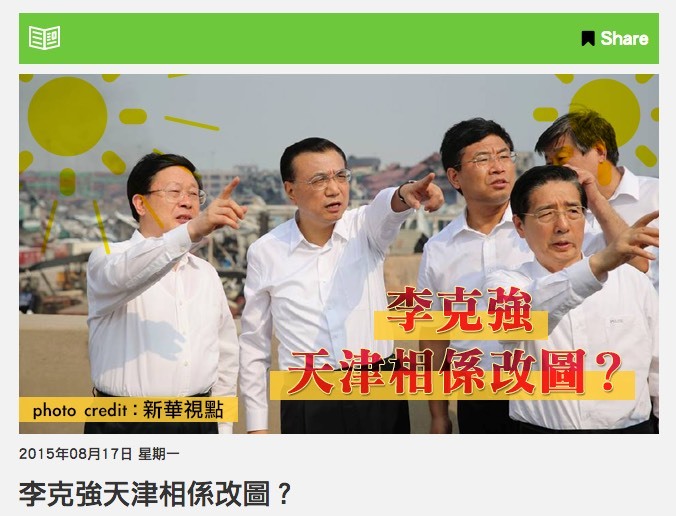 The image as it appears on Hong Kong’s TVmost site. 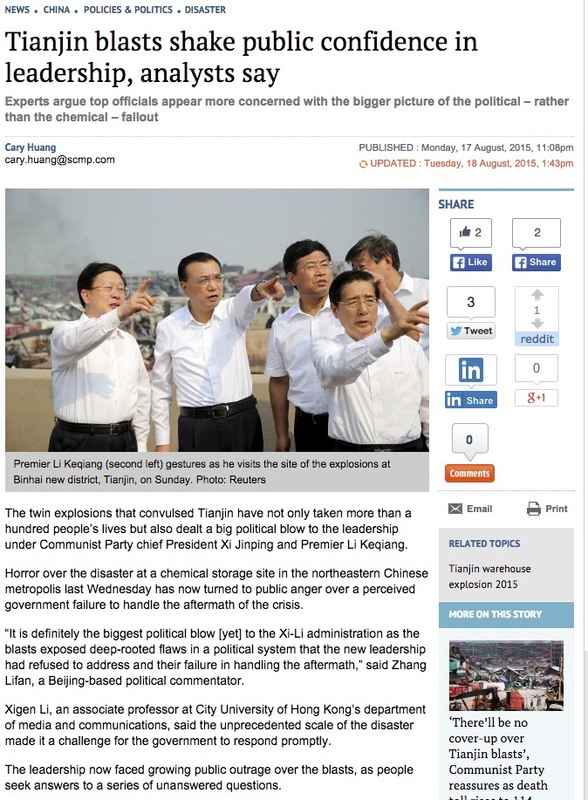 The image supplied by Reuters and used without comment by the South China Morning Post. Posted on August 23, 2015 by martynjolly. 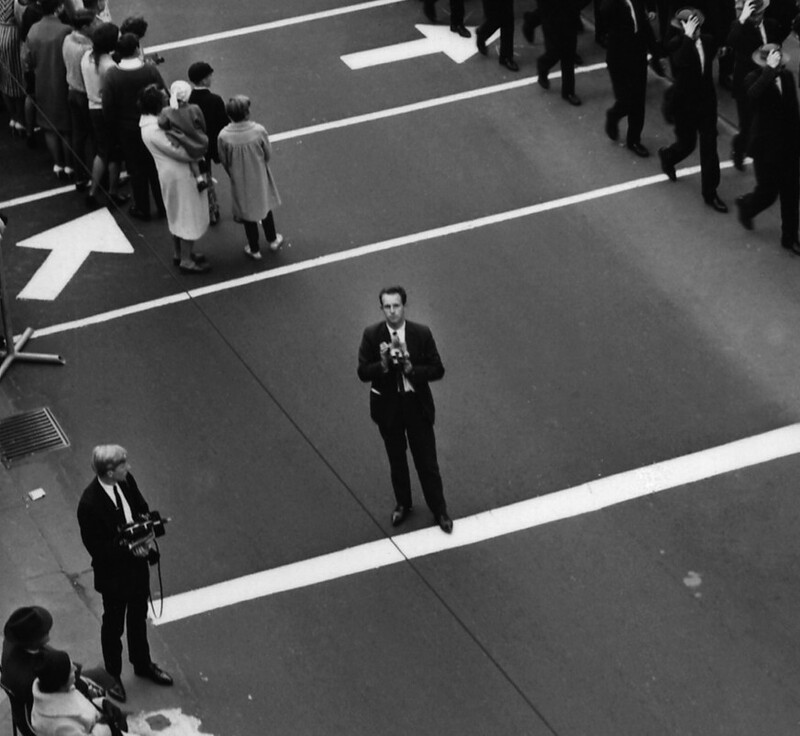 This entry was posted in Blog and tagged 2015, Digital photography, Fake photographs. Bookmark the permalink.